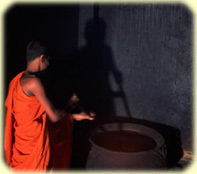 All of our Ayurvedic medicines are made in Sri Lanka at Traditional Ayurvedic Dispensaries which adhere to the classical pharmacopoeia of Ayurvedic formulas in its thousands of years history of medicine. 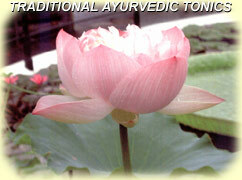 The majority of such plant-formulas can only be prescribed by a qualified Ayurvedic physician. Only patients can purchase these formulas if you have previously had a proper Ayurvedic Consultation and you know your 'Prakruti'. Traditional Ayurvedic medicines are powerful and therefore you need to know how best to use them in conjunction with your consititution or Prakruti..
We cannot endorse nor promote the Westernized money-spinning concept of buying Ayurvedic medicines "off-the-shelf" like a commercial product. as if we were 'Boots' the Chemist! The whole purpose of learning Ayurveda is to learn how to look after oneself through knowing one's constitution ( Prakruti) and adapting one's diet and lifestyle according to who you are. One has to discover and learn the reasons behind the condition so it is not necessary keep buying "off-the-shelf" supplements again and again and again. Safe. Non-addictive. No long-term damage. No quality of life lost. No side-effects. Ayurvedic formulas contain some of the world's most powerful medicinal plants known to mankind. Used for generations these ancient plant-formulas are safe, non-addictive, with no long-term damage and No side-effects. A three-month old baby to an ninety- year old can be prescribed them! Some specially formulated oils can take many months to make and can contain over 100 different medicinal plants. At our dispensary all of our Traditional Ayurvedic- plant-formulas come in glass jars or bottles and are free from plastic contamination. The sages of ancient India had highly advanced methods to determine the healing properties of plants, and year in, year out, modern-day pharmacologists are slowly catching up and confirming their medical wisdom. If you would like to see some scientific references or the list of medicinal plants used in these Examples of Traditional medicines, then click on hyper-links below. A unique Ayurvedic formula of 54 medicinal plants. For all skin complaints - viral cold sores, accidental cuts, bruising, broken skin, burns, open scabs, skin blemishes like rashes, pimples, stops itchy irritations from insect-bites or prickly heat. 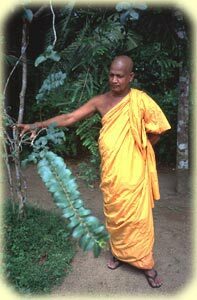 The monk's medicated oil is so pure it can also be applied internally and massaged in to relieve soreness from mouth ulcers, cold sores and to soothe vaginal irritations like thrush. Special 'nasya' drops give immediate relief to congested nasal passages. Excellent for flu, head colds, sinusitis, earache, hay fever and quickly removes phlegm and mucous from head. A truly excellent massage oil for any aches, pains, sprains or soft-tissue injuries caused accidentally. A Traditional Ayurvedic formula of 40 medicinal plants. The famous rejuvenating tonic for the immune system. Specifically strengthens the lungs, heart, liver, eyes, hair, digestion and urinary tract. This highly revered 'rasayanaya' (science of longevity) formula is not for everyday use owing to the valuable fruits and plants being used. Ideally to be taken for a specific condition like strengthening the lungs if your asthmatic or at any stressful times. An Ayurvedic formula of 29 medicinal plants.